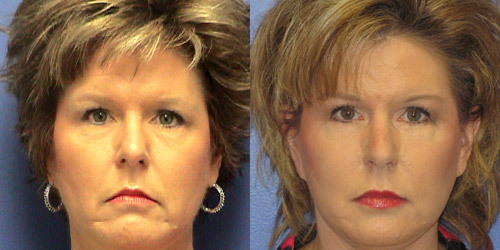 Plastic Surgery Myth: I don't want to look like I have had a facelift. "I don't want that stretched-out look." 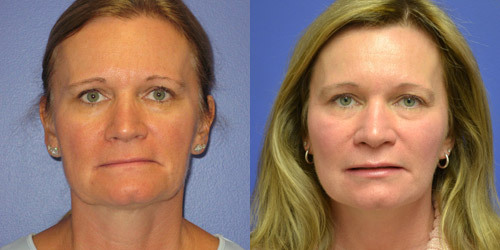 Not all surgeons are created equal. 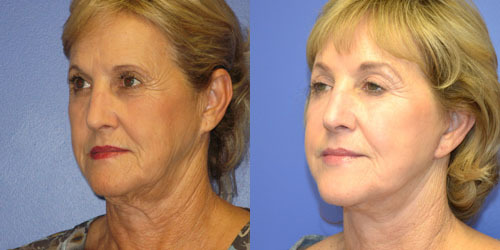 Not all surgeons have the same idea of what a great facelift should be. 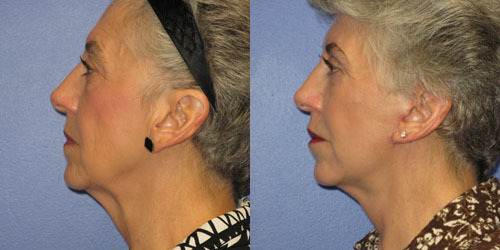 There are surgeons that like the "stretched-out" look, but not Dr. Howard. 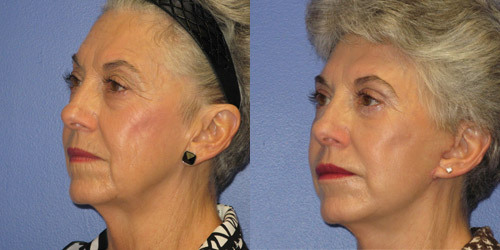 Dr. Howard has a more natural opinion to what a great facelift should be. Wrong. 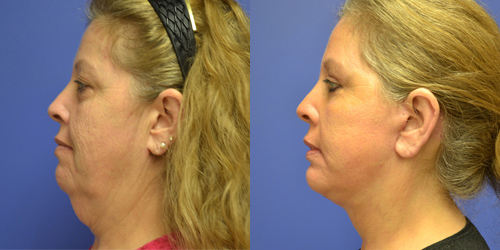 The recovery for facelift surgery is less than two weeks assuming you are a non-smoker in good general health. 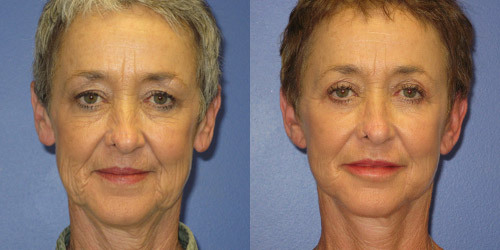 Most facelift patients are able to be presented in the public one week following surgery. Dr. Howard has even had a few patients to go to the book store or movies after a few days (wearing a scarf and sunglasses). 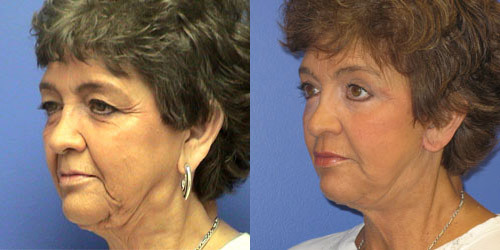 Plastic Surgery Myth: A Facelift Will Help Me Look Like My Senior Portrait. 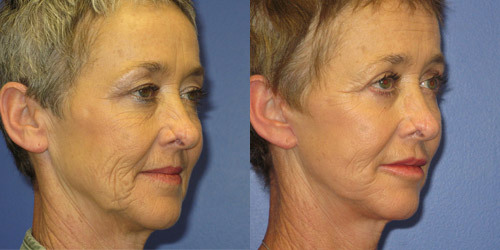 It would be a very unrealistic expectation to think any cosmetic procedure can turn back the clock more than 15 years. 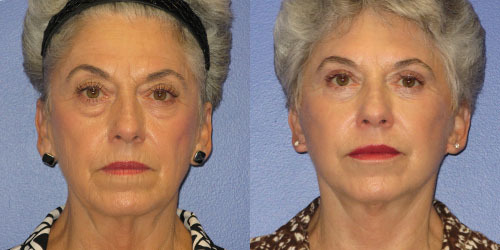 The average facelift can take 10 or more years off, but no cosmetic procedure can rejuvenate to dramastic measures without the results appearing drastic. 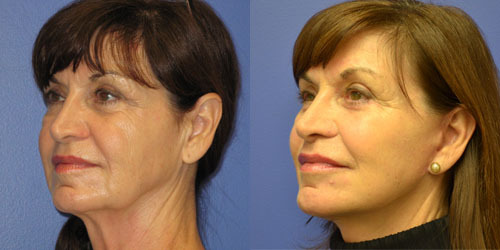 Plastic Surgery Myth: A Facelift Will Eliminate all the Lines and Wrinkles. 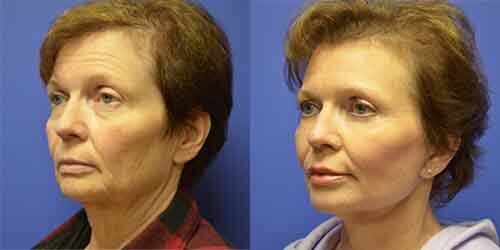 No, a facelift will not eliminate all the lines and wrinkles. 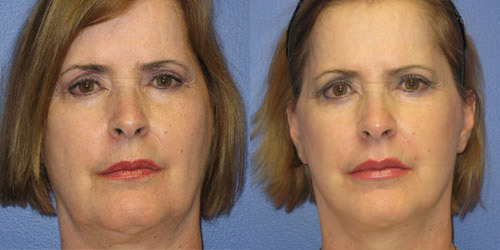 Facelifts do not address lines and wrinkles around the eyes and the forehead. 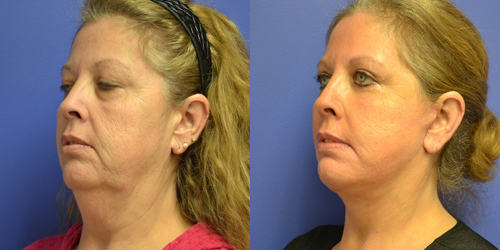 Ancillary procedures such as blepharoplasty and endoscopic forehead lift are often performed in conjunction with a facelift to address these other areas of concern. 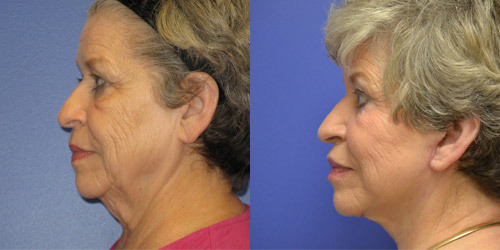 Frownlines are greatly reduced with a facelift, but sometimes will also require fat grafting to reduce these creases. 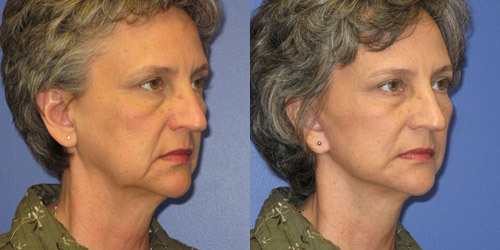 It is important to understand that these frownlines (nasolabial folds) should not be expected to be completely flat. 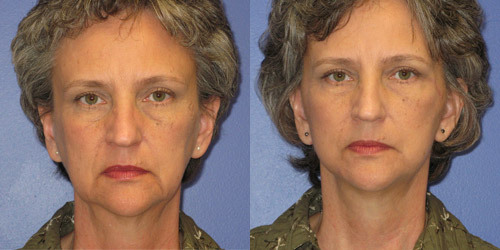 Attempting to completely erase frownlines is unrealistic and produces an unnatural appearance. 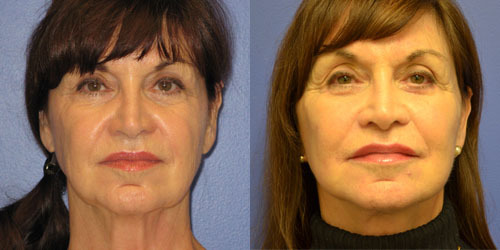 Plastic Surgery Myth: Facelifts are only for the rich and famous. False. 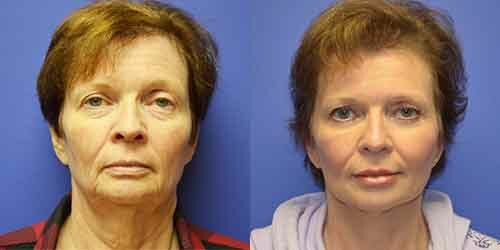 The average facelift patient is just like yourself. 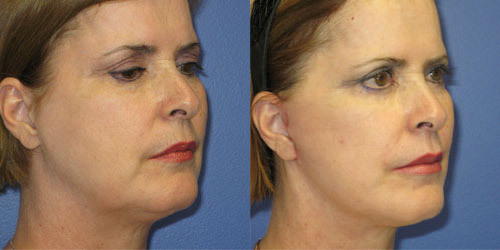 Facelifts are more affordable than ever and increasing in popularity in both men and women of all races and walks of life. 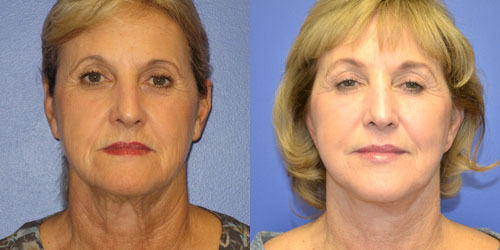 Plastic Surgery Myth: The Results of a Facelift are Permanent. False. 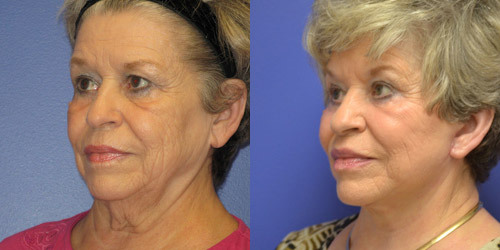 No cosmetic procedure can stop the aging process. 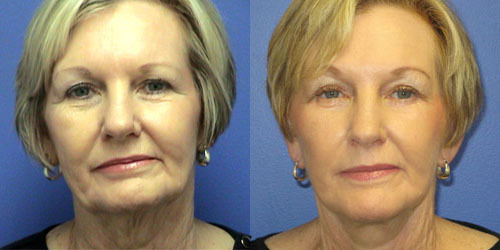 Cosmetic Surgery can turn back the clock, but cannot stop the aging process. 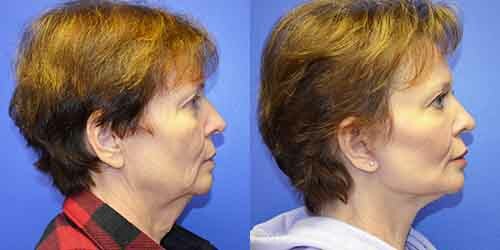 Environmental factors will always contribute to the aging process such as sun exposure, smoking, exercise, and diet. 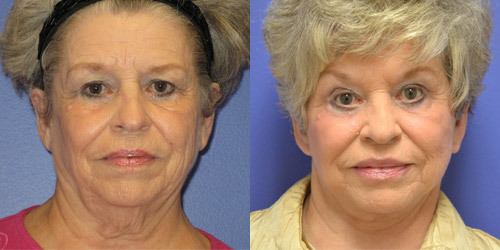 Plastic Surgery Myth: Anyone can Perform a Facelift Absolutely not. Medical licensure is not granted according to specialty. 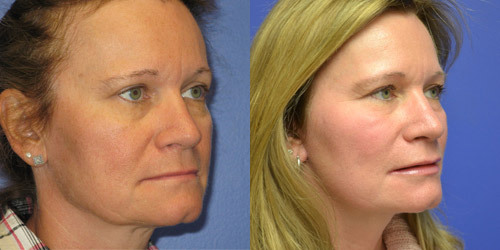 Only surgeons certified by the American Board of Plastic Surgery are true plastic surgeons trained in plastic surgery. 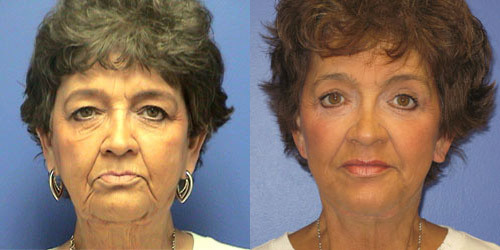 Plastic Surgery Myth: The Lifestyle Lift® is better than traditional facelifts. False. 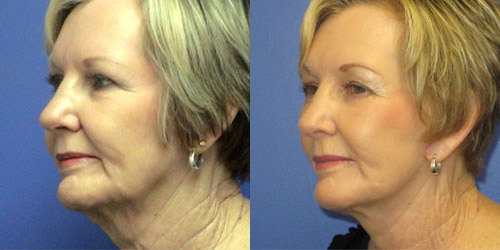 Please read Dr. Howard's blog articles discussing this facelift marketing campaign. 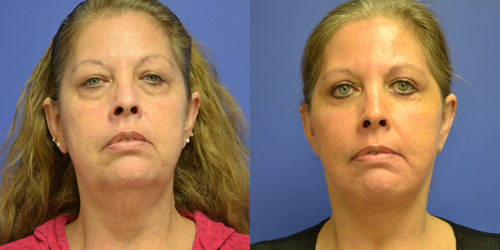 FACT: The Lift Style Lift Company filed for bankruptcy the first of 2015 due to their mass marketing agenda.